Members and friends of the St. Michael’s Church congregation gather to pray. One child is dead and eight women are hospitalized following the Sunday explosion of three gas bottles, sparking a fire in the Kilo 4.5 neighborhood of Nasr City in Cairo. 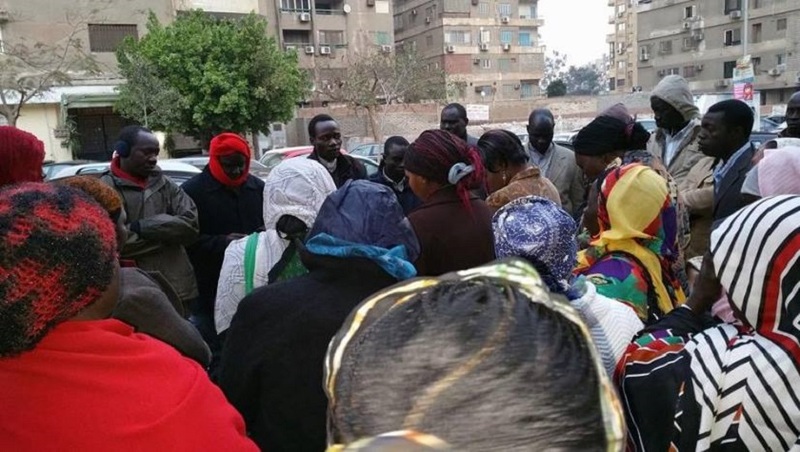 The group of ladies were preparing a meal for a meeting at the St. Gabriel Center, a Sudanese social center and ministry of St. Michael’s Anglican Church in Heliopolis. Prayers are requested for the injured at this time. For more and updated information please contact Rev. Strengholt through the church website. This article was first published at the Anglican diocese website.